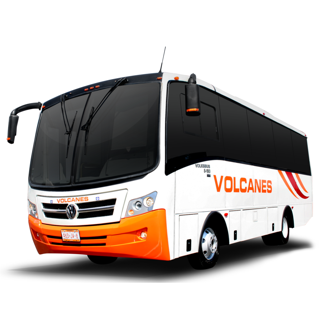 Ahora es más fácil realizar tu próximo viaje, compra tus boletos de autobús desde tu dispositivo y no hagas filas. 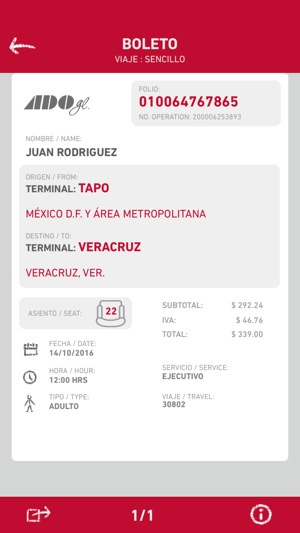 Conoce todos nuestros destinos, aprovecha las promociones que ADO tiene para ti, viaja con nuestras tarifas de compra anticipada. 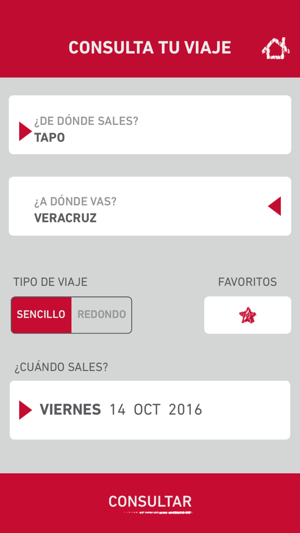 Recuerda que puedes ver tus viajes en cualquier momento y lo mejor es que .. ¡no necesitas conexión a internet para consultar tus boletos! * Corrección de Errores en la aplicación. 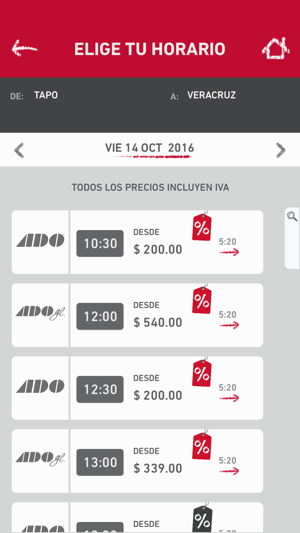 * Ahora Comprar es mas Fácil no te pierdas las campañas de Meses sin Intereses. * Identifica Nuestros mejores precios con diferentes etiquetas. I don’t know Spanish and it was easy to navigate. 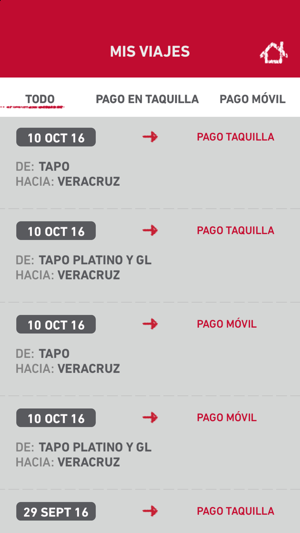 It only wants you to create an account to purchase a ticket, you can still see the bus schedules before that. Select departure, destination, date (one way or round trip), and it shows you the available buses for that date in chronological order, shows the price and travel time, very clear. If you try to purchase, it will ask you to. Create an account. It's a good improved from the other App but it's just too slow sometimes. This is random and so, can be fixed. We need the Pre Paid options with the possibility to save info. It's starting to be a good one. 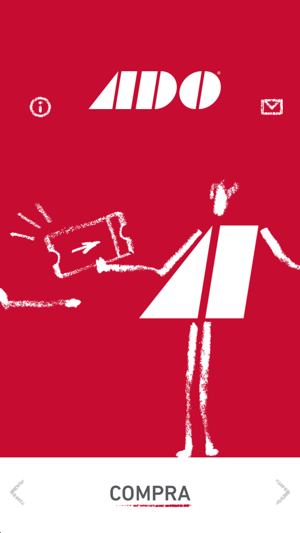 A little faster and now it can be paid with Credit Card. It's awesome that accepts American Express. Right now I bought without problems. Until yesterday it was a GREAT App! Now is just as it was. I can’t buy tickets prior two hours... Why so much time? Fix this AGAIN. A few days ago I could buy a tickets just minutes before time. I could save a LOT of time, A LOT. I hope you fix this again and let us use the App as it should be. The app is simple and self explanatory yet when it comes to pay, it never works. There is always an error. It would take my cards nor my Mexican friends’ cards. Therefore a useless app except to know the bus schedule. ADO y Empresas Coordinadas S.A. de C.V.
© ADO y Empresas Coordinadas S.A. de C.V.
Almacena todos tus pases, entradas, tarjetas y más en un solo lugar.